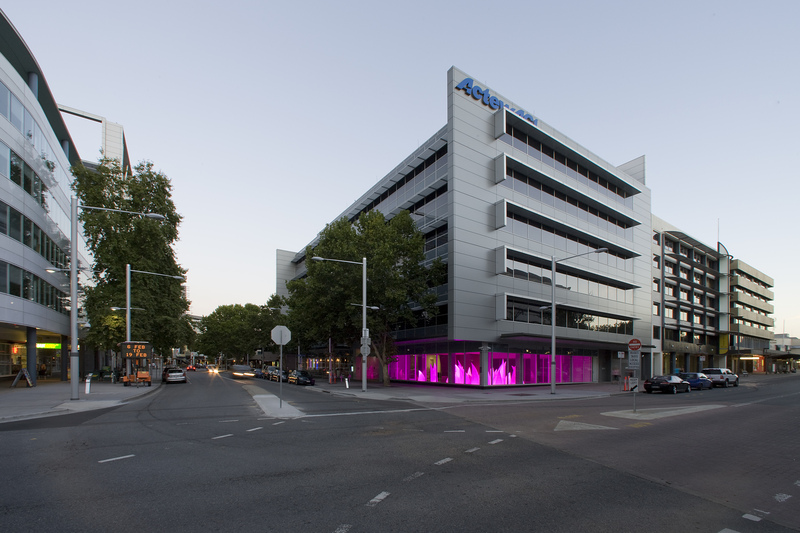 The ACTEW AGL Head office project was a large and complex fitout project comprising the Head Office functions for a number of ACTEWAGL entities all located in the one building in Bunda Street in Canberra’s CBD. The project delivered a very high end office fitout befitting the ACT’s largest utility organisation. The fitout provided a diverse range of office functions from a large call centre, to open plan offices, executive offices, end of trip facilities and a range of conference room facilities that met all the demands of large organisation. The client is a significant contributor to the arts in the Territory and as such the project incorporated a number of significant public art works into the fabric of the fitout. This inclusion of artwork, arts in the Territory and as such the project incorporated a number of significant public art works into the fabric of the fitout. This inclusion of artwork, the complex design and the range of facilities made the project an exciting and rewarding project for everybody involved including the ACTEWAGL employees.